Disclaimer: This is obviously a big subject and there are many opinions so I don’t plan on writing a big research paper about it in this blog. I just wanted to hopefully help someone who “doesn’t get modern art” to understand it a little bit more. what they looked like or to copy a landscape you didn’t want to forget. You could now just snap a picture. This gave artists freedom to explore putting their own inventions in their work like never before. Art began to be more about the design and the composition. Instead of looking at the object in the painting the painting itself became a beautiful or interesting object. Also art could now be more expressive using invented colors to show emotion (e.g. 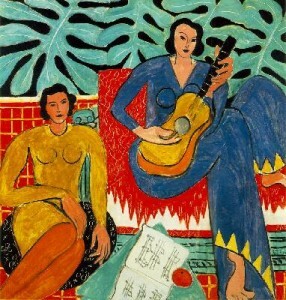 Matisse, Chagal). 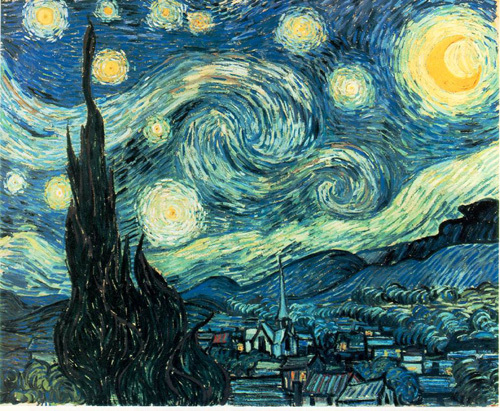 An example I always use is Starry Night by Vincent Van Gogh. Most people have seen it. I’ll put a little link to it just in case. 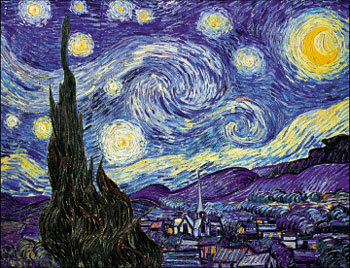 It is gorgeous and probably the second most well known paintings ever. And when you look at it, it doesn’t really make you think, “I would love to go to the location in the painting”. Sure it might be fun to go see the view from where Van Gogh painted it but most of us would rather go to the museum and see the painting. And that is the basic idea of modern art. So maybe you won’t see a Cy Twombly or a Pollock painting and love it now but you can start to look closer and think about the design and the colors they used. It wasn’t an accident. If you think you can make a painting just as good ….. then go for it! ha ha … That might be the only way to open your mind to the concept. Next Next post: Field Trip to San Fransico Moma!